THEY only wanted to prove that there was no cheating during the June 2006 nursing board examination by taking the entire exam last June. But Jundell Castardo and Santonin Yu placed fifth and eighth, respectively. Both became P100,000 richer. University of Cebu (UC) president Augusto Go handed a check worth P100,000 each to Castardo and Yu, in time for the inauguration of the nursing dormitory near the UC-Banilad Campus. Go made true his promise to give P100,000 to anyone who gets anywhere between second and tenth place in the nursing board, and a brand new car to a UC graduate who places first. In an interview with Sun.Star Cebu, Go said he couldn’t sleep after learning that two UC graduates made it to the top 10. And it’s not because he owed them money. “They give pride not only to UC but to the entire Cebu,” he said. The reward is an incentive for other graduates to study hard, and Go will do anything to improve the school’s passing average. UC-Banilad had a 92-percent passing rate, said Dean Helen Estrella of the nursing department. Topping the nursing board, however, is not new for the Yu family. Santonin’s 22-year-old sister, Shiela, also topped the 1995 nursing board exams. Santonin’s father, Henry, could not contain his pride for Santonin, who was born on Sinulog day in 1985 and was named after Sto. Niño. His name is not the only thing religious about Santonin, who attended mass every night after his review, before taking the exam. Santonin almost did not take the entire exam though, opting to just take the mandated tests 3 and 5. But a chance encounter with Castardo at the Professional Regulation Commission (PRC) 7 last May changed that. 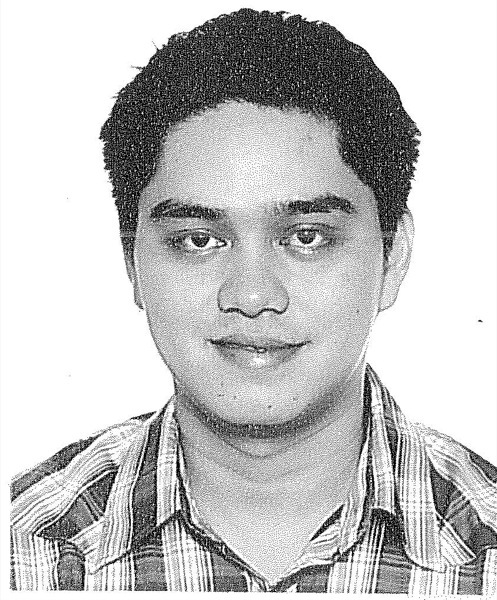 Castardo, 25, was there to return his PRC license in order to take the June 2007 board exams. He convinced Santonin to do the same. Castardo wanted to prove that Cebu was leakage-free, and ended up proving more than that. You are all invited to the 7th novena of Sto. Tomas de Villanueva on Saturday, August 25, 2007. Novena will start at 5:30 pm, followed by a Mass at 6:00 pm. Tribu Dahunog has announced that a highlight in the evening is a Barn Dance and has assured it will be fun for all. There is no dress code, but if you have something in your ‘Kaban or Baol’ – maybe your favorite dress from the ’50s – please wear it; or perhaps sometime ago you bought from the Salvation Army or Goodwill a dress/costume from the ‘Elvis or James Dean era’ but is too embarassed to wear, now is the time to display. Friends, it’s BOOGIE TIME , TWIST . . . CHA-CHA . . TANGO . . . KURATSA . . KURADANG . . . If you need direction, please call: 562-728-4957. Please pass to other Danawanons who may not be in our mail-list. Si Lelet, noong araw nagtrabaho sa Danao City Hall; siya anak ni kanhi Talino Lao, usa ka mekaniko nga dunay talyer sa Barrio Suba. She has two beatiful daughters. Novena starts at 6:00 p.m. and immediately an anticipated Sunday Mass will follow to be officiated by Augustian Priest, Rev. Fr. Ramon Barriga, . ayy mali . . Pedroza, diay.